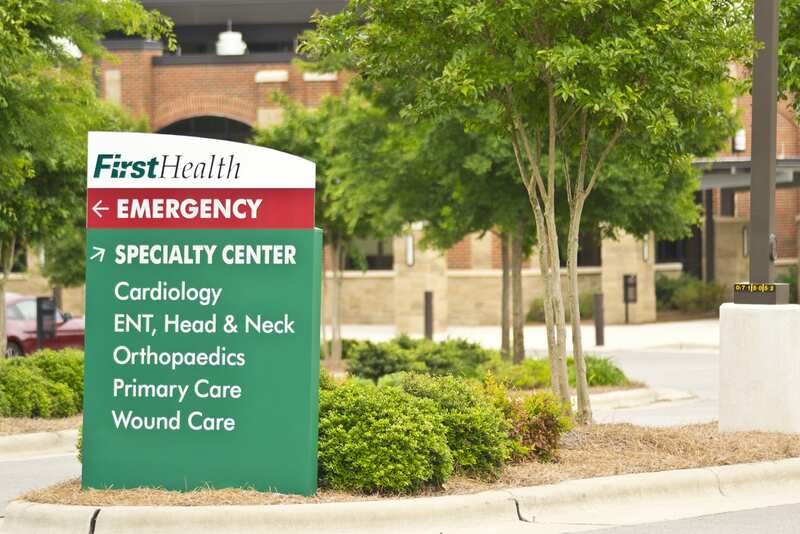 In 1998, FirstHealth of the Carolinas launched a new brand for their health system in central North Carolina. 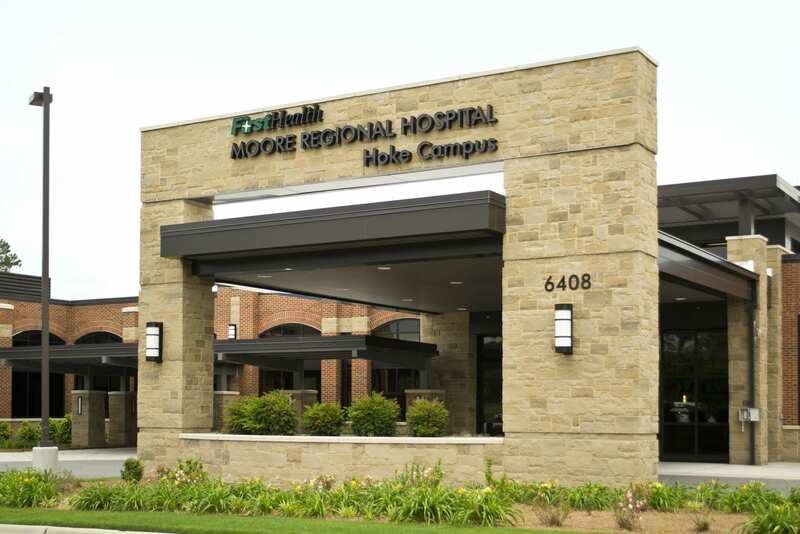 The brand change included a new logo, which their current signage provider was unable to reproduce accurately due to some complexities in the detail of the logo. 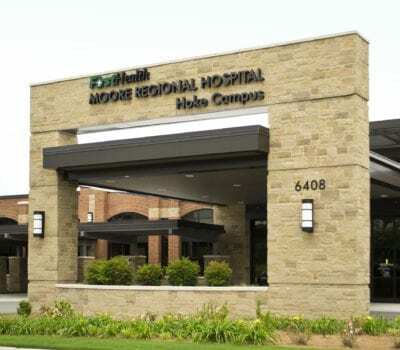 In addition, each of their three hospitals required new signage to reflect the brand, improve wayfinding, and new interior signage necessary to bring the signage into compliance with the ADA. 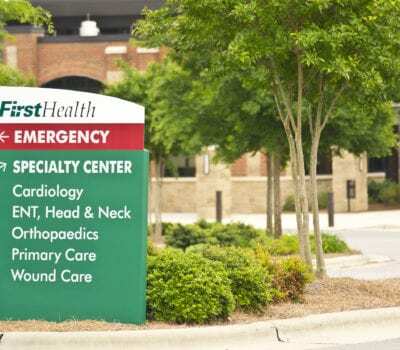 We developed several design concepts illustrating how to effectively incorporate the new logo into FirstHealth’s exterior signage, and produced full size sections of the signs displaying how they would look during the day and when illuminated at night. 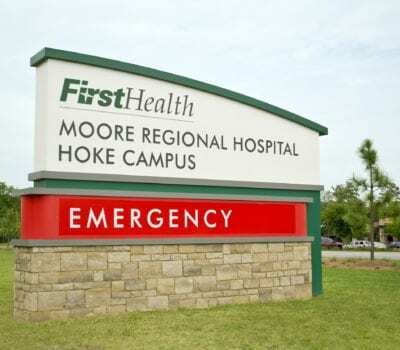 For the past 20 years, we have worked closely with the FirstHealth team to design and implement complete interior and exterior sign systems for their existing hospitals and other facilities as well as their new hospital in Hoke County. 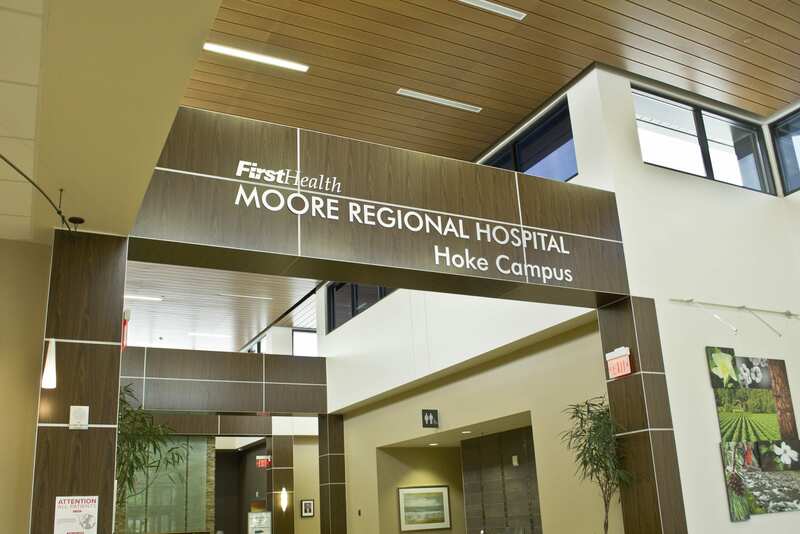 Our design/build team has greatly improved the wayfinding system on their hospital campuses. 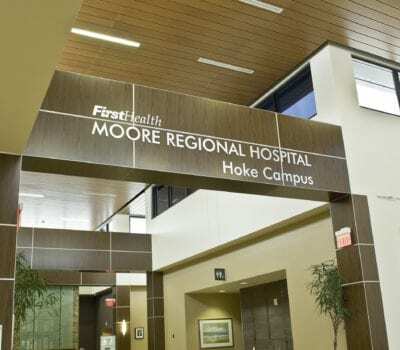 In 2013, our design/build team participated in a wayfinding committee for FirstHealth’s Moore Regional Hospital and subsequently authored a wayfinding study for that committee suggesting improvements not only to signage, but to roads, architecture and other aspects of the facility to improve and update the hospital’s wayfinding and overall visitor experience. 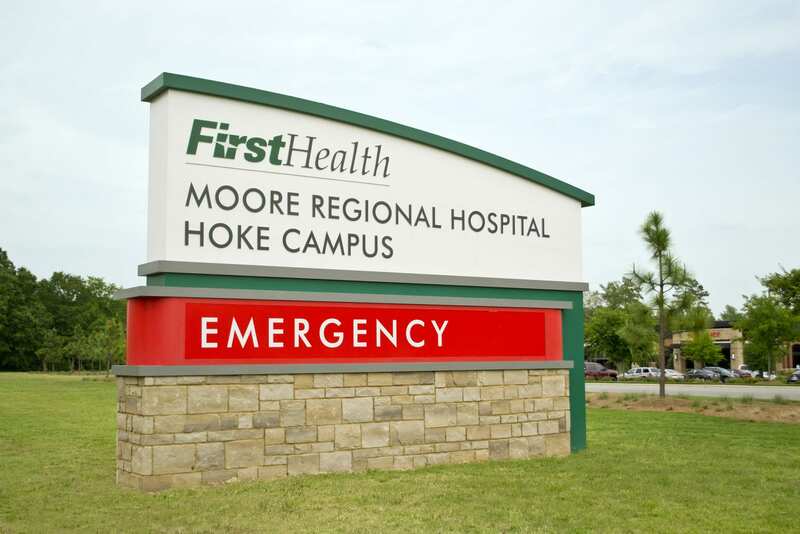 When FirstHealth of the Carolinas partnered with our team for that initial logo implementation, they were looking for a signage partner capable of producing a complex sign, and discovered we are capable of providing many additional benefits.From design and planning, consultation and wayfinding to the ability to manage large, complex projects, Poblocki has worked with FirstHealth to successfully implement dozens of major signage projects.